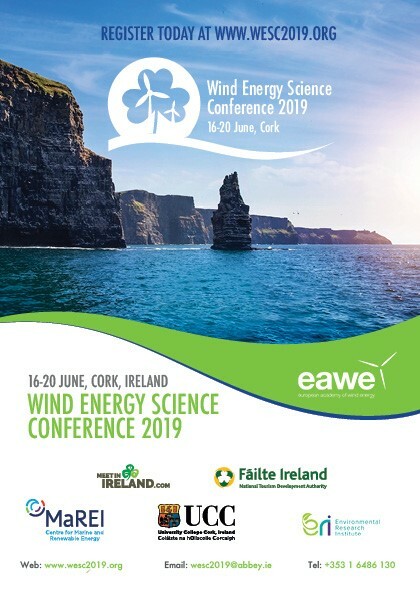 The Wind Energy Science Conference, organised by MaREI Research Fellow Dr. Cian Desmond will take place in University College Cork from June 17 – 20 2019. The WESC 2019 technical program has been specifically designed with 8 diverse and cross-cutting themes in order to attract a broad range of scientists and engineers working in wind energy. 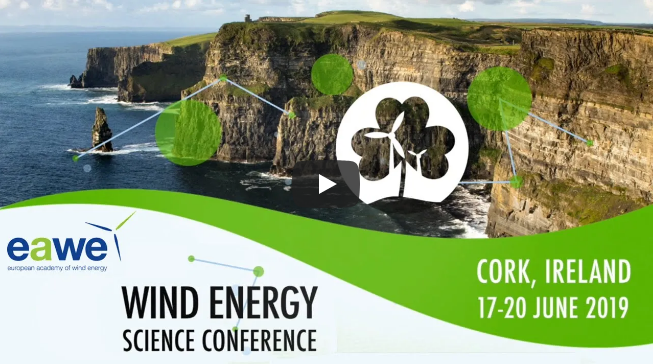 Coupled with an exciting social program, the conference will break down some silos and promote a collaborative multi-disciplinary approach to wind energy science. 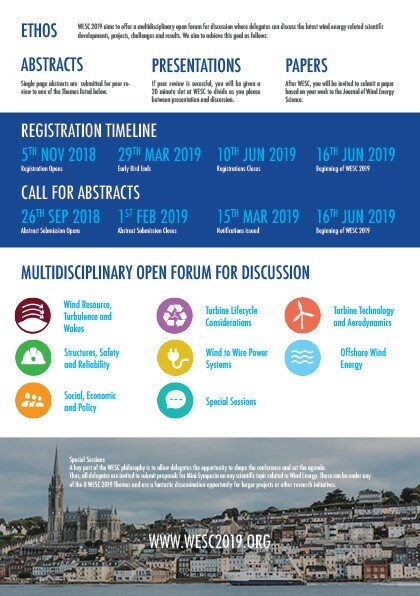 If you are interested in WESC, please click HERE to join their mailing list and keep up to date with the call for abstracts, speaker announcements, early bird registration etc.